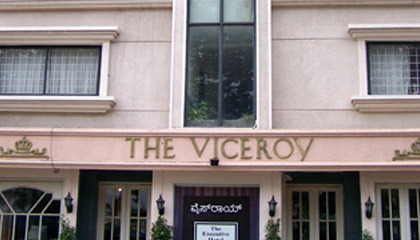 The Viceroy Hotel is sited in the close proximity of the Mysore Palace. 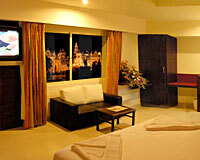 The Viceroy is a grand hotel conferring style and stateliness to the City of Palaces - Mysore. This luxury hotel is ideally located only a block away from Mysore's commercial establishments, tourist spots and opens out to the view of the famous Mysore Palace. 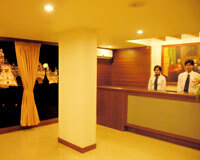 It offers exceptional services, teamed with the matchless tradition of south Indian hospitality. 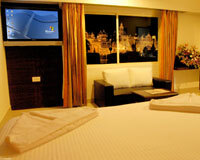 In short & snappy terms, The Viceroy offers the best services and modern facilities at affordable rates in Mysore. The hotel offers a total of 30 well-appointed rooms, categorized into Executive Room, Executive Premier, Executive Suite and Viceroy Suite. 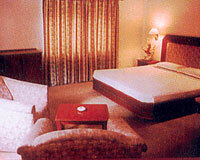 All the rooms are equipped with modern amenities and comforts. 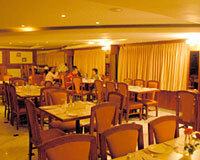 The Pavilion: A multi-cuisine restaurant offering a variety of tasty dishes. Roof Garden Restaurant: A right place to spend a relaxing time with friends.